Help support our ministry click here. 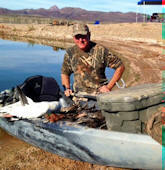 We are a group of sportsman who write the Sportsman’s Devotional each day as a regular part of our personal Bible study. Our team is made up of regular guys from various professions ranging from a commercial airline pilot, a warehouse manager, hunting-fishing guides, ministers, to game wardens. 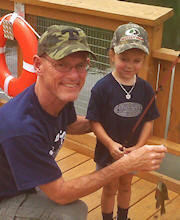 We have one thing in common: we love the Lord, His awesome creation and the sporting lifestyle. Randy meets with 40 to 60 men weekly to pray for SD needs and for the email prayer requests we receive. Accepting Christ is the single most important decision an outdoorsman can make. Sportsman's Devotional Prayer.